Any Pentium class processor 500MHz or AMD K2 and above will do, as for the RAM you will need at least 128MB (256MB recommended). 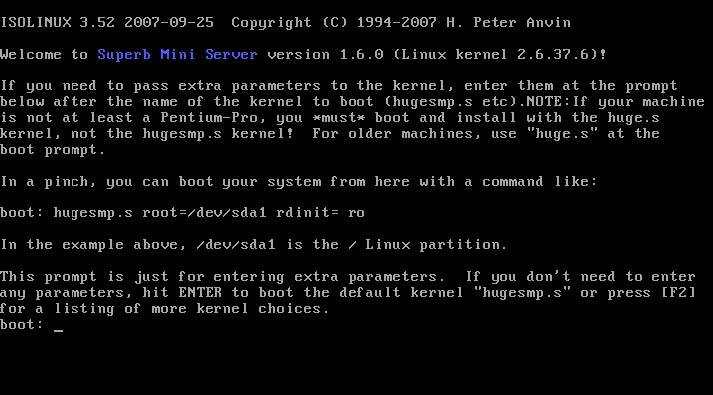 You can install it on a 486 machine with 128MB RAM too, but you need to choose huge or hugel7 kernel while booting SMS install disk. To boot into Live mode any Pentium class processor 500MHz or AMD K2 and above will do, as for the RAM you will need at least 128MB (256MB recommended). Booting in a slow computer with 128MB might output error with clamav-milter (needs to increase the time for loading), after you install it on disk there will be no such problem. Don’t forget that it’s a server , put a descent machine on it. Boot with SMS.LiveCD, login with username: root and password: toor, type ‘sms-text-installer’ and follow the instructions. After the sms-text-installer finishes, reboot and use ‘netconfig’ command to configure your server’s hostname and domain. Note: Installing SMS from SMS.LiveCD is NOT recommended. 1. hugesmp.s Default SMS Kernel very similar to Slackware’s kernel. 2. huge.s Default SMS Kernel for i486 and better machines. 3. hugel7.s Same as hugev.s but with Layer 7 support patch. 4. memtest Test your memory for errors with memtest utility. - Select your keyboard map and login as root. - Before you run setup you must create your partitions with “cfdisk”. Create a boot partition 100MB in size and mark it bootable. Create the root (/) partition, at least 4GB in size. You can create optional partitions for mount points such as /home or /usr/local. Write the partition table to disk and exit. 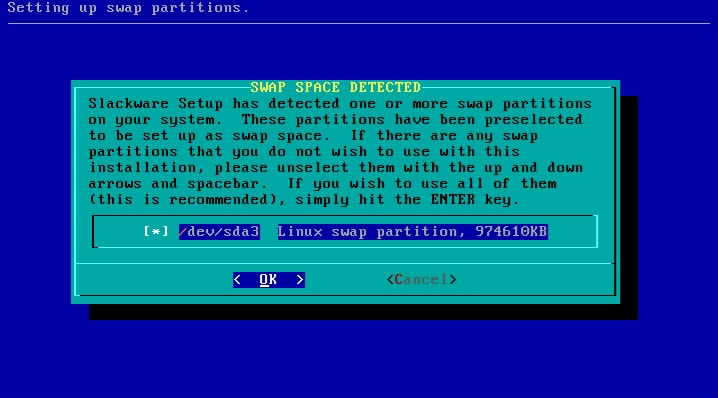 Just swapon your swap partition. No need to check for bad blocks. Choose your root partition and format it. 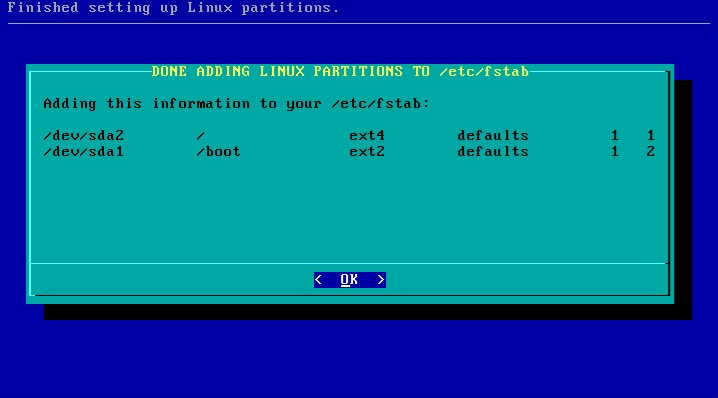 Choose your boot partition and format it as ext2 or ext3. You should see something like that. Choose your source media and follow the instructions. The recommended setup mode is FULL where 2.7GB+ software is installed, including DEVEL series Xorg server and KDE 3.5.10. 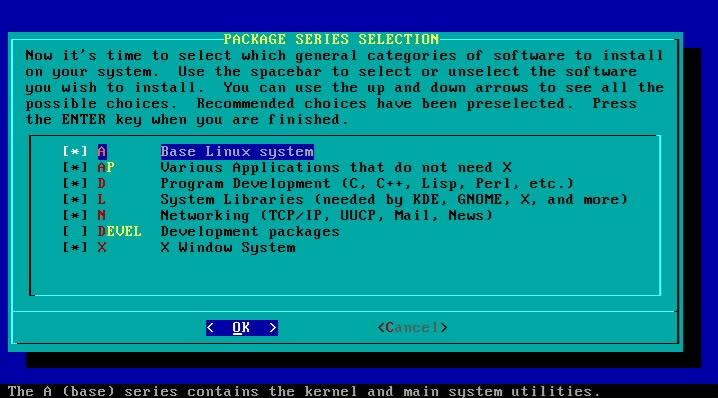 When setup finish installing packages, it will ask you to choose a kernel. All kernels are already installed, you just have to choose from which kernel your system will boot. Huge kernels has all the serious stuff already built-in, their purpose is for installing and recovering SMS, but they are great for beginners too. filesystem or ide/sata controllers modules. generic kernels have built in support for ext2. ext3, ext4, jfs filesystems, so if you aren’t using reiserfs most likely you will not have to use an initrd.gz after all. 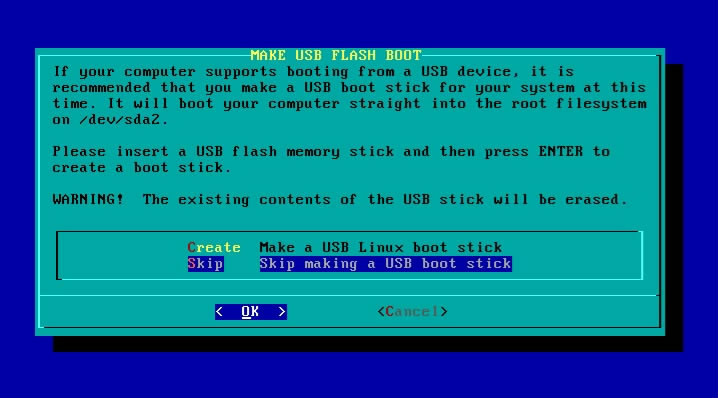 The installer offers you to create a bootable usb stick for booting your system, if you want one just plug a usb stick and press create, or press skip to continue to install the Linux Loader (LiLo). Lilo configuration has two options. 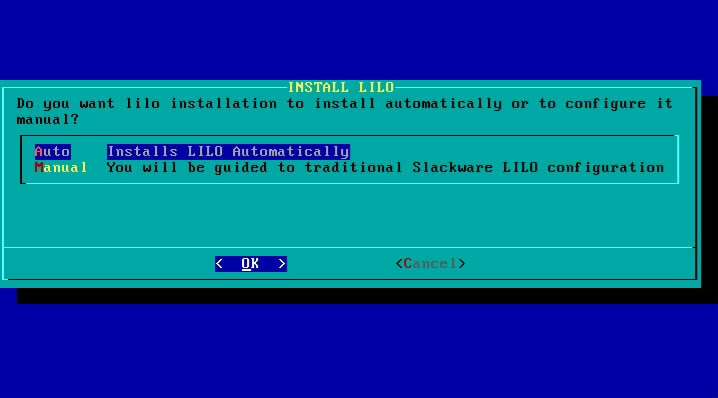 The first is SMS lilo installer which automatically install lilo on your chosen partitions, and second it’s Slackware’s lilo installer where you can create your lilo.conf from scratch. or skip network configuration and upon reboot use “netconfig-lcd” to configure your <hostname.domain>. Continue with the installer, selecting services that start at boot, custom screen fonts, time zone setup, default window manager for X and finally setting your root account password. Exit the installer and reboot to your newly installed system. where sda2 used for lvm setup. for home /dev/sms/home and finally choose as boot partition /dev/sda1. Ignore partition /dev/sda2 and continue with setup. When it’s time to choose a kernel choose a generic one, since huge kernels complains with initrd images, although they may work just fine. When setup finish don’t reboot your server, as lilo is not installed. -L add support for LVM in initrd. SMS generic kernels have built in support for ext2 ext3 ext4 and jfs. run lilo and ignore the warnings. exit and reboot your server. Now Logical Volume is resized but not filesystem, in our case ext4. To resize the filesystem use resize2fs. Performing an on-line resize of /dev/sms/home to 419840 (4k) blocks. The filesystem on /dev/sms/home is now 419840 blocks long. To decrease a Logical Volume you need first to unmount the partition, in our case /home. Optional you can use e2fsck to check the integrity of the filesystem. Resize the filesystem with resize2fs like. Resizing the filesystem on /dev/sms/home to 358400 (4k) blocks. The filesystem on /dev/sms/home is now 358400 blocks long. And continue with lvresize command. So our home decreased by 200MB. 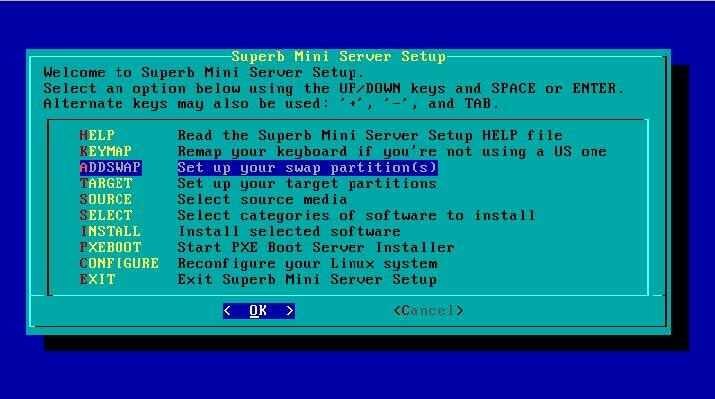 2.3.2 Resizing LVM partitions (Webmin). Select /home click on Unmount and press save. - RAID 0: Requires 2 drives, can use more. Offers no redundancy, but improves performance by “striping”, or interleaving, data between all drives. This RAID level does not help protect your data at all. If you lose one drive, all of your data will be lost. - RAID 1: Requires 2 drives, can use more. Offers data redundancy by mirroring data across all drives. This RAID level is the simplest way to protect your data, but is not the most space-efficient method. For example, if you use 3 drives in a RAID 1 array, you gain redundancy, but you still have only 1 disk’s worth of space available for use. - RAID 5: Requires 3 drives, can use more. Offers data redundancy by storing parity data on each drive. Exactly one disk’s worth of space will be used to hold parity data, so while this RAID level is heaviest on the CPU, it is also the most space efficient way of protecting your data. For example, if you use 5 drives to create a RAID 5 array, you will only lose 1 disk’s worth of space (unlike RAID 1), so you will end up with 4 disk’s worth of space available for use. While simple to setup, this level is not quite as straightforward as setting up RAID 1. Start setup and choose as swap partition /dev/md1, choose as root partition /dev/md0, for home /dev/md2. Ignore partition /dev/sd[ab]1 /dev/sd[ab]2 and continue with setup. -R add support for RAID in initrd. Upgrading SMS it’s not so difficult or dangerous as it may sound. Tip: If your version is too old and you get errors you need to upgrade pkgtools, xz and tar from slackware/a. If you have install devel series or x-kde-addon you can upgrade them too as well. Once you finish with all *.new files. 2.6 Installing SMS.LiveCD to USB. To install SMS.Live.CD ti your USB stick, just copy the contents of the ISO (boot, sms) to your usb stick and run “boot/bootinst.sh” for linux or “boot/bootinst.bat” for windows. 3.2 Securing and optimizing your server. Well you install SMS and all working as you should. What’s next? Either your server will be online or in a local network you should secure you server, from unauthorized access. First action is to change the default passwords for root and administrator user. Do the same for ftp users. Select your user and alter password. Another mandatory action is to add a password to mysql root user, by default mysql has no root password. And change password for root and for other users as well if you want. Tip: Don’t forget to change credentials in web apps configuration files when you alter other users. Webmin needs your attention too, since it has the power to alter your system. If you are not using any of the above delete their folders or disable their login. If you have install applications from /extra such as avantfax do the same. hosts allow = 192.168.1. 127. 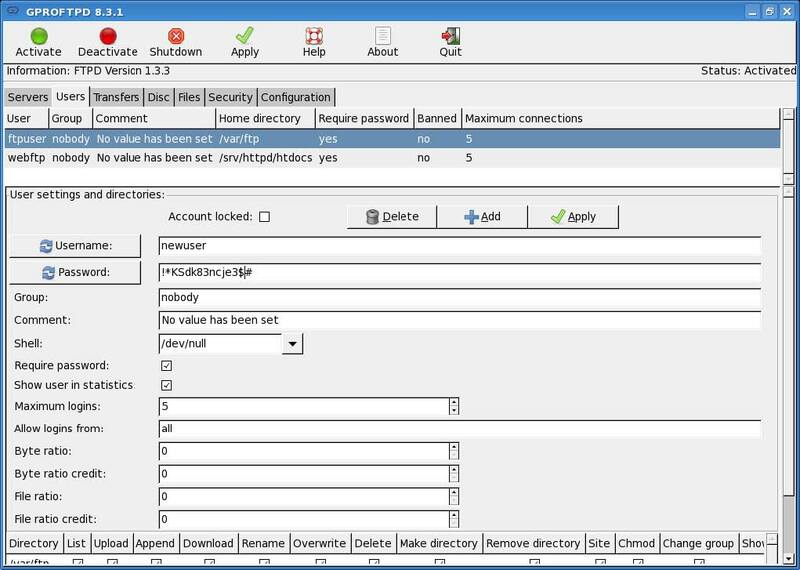 10.0.0.
for restricting outside networks for accessing your samba shares. Openldap needs a change of password too. Just type “slappasswd” enter your password, copy/paste your password in slapd.conf e.g. entry and a field named password. “Update Object” button for changes to apply. You have changed all the passwords by now and you server it’s secure, what about speeding and lighten our server. For doing that you must disable the services you are not using e.g mail server or fax server or print services. There are startup scripts run by system like rc.S and rc.M when starting, rc.6 upon shutdown or reboot, rc.K when starting in single user mode, and rc.4 when the system runs in graphical run level (KDM or XDM). All services have a startup script placed under /etc/rc.d/ named usually like rc.<name of the service>. To disable a service make the startup script not executable by changing it’s permissions. In some cases such as hylafax disabling the service it’s not enough. Remove hylafax cronjobs from /etc/cron.hourly & /etc/cron.daily. Tip: For enabling/disabling services you can use “pkgtool” script, select to rerun installation scripts and select services. You can also switch from SMS’s advance mail server configuration to plain mail server (sendmail) using “sms-chooseMTA.sh” script. The script will switch mailserver from postfix to sendmail and vice versa. There are three ways to configure X Window system. The first is by a fully automated way through ‘xconf’ script. All you have to do is to type “xconf”, and start “startx” to start KDE. you will be guided through a few steps configuration windows. The third way is by typing “xorgconfig”, a menu driven frontend with more detailed configuration, but you probably never need to run it. Once you finish with X config run “startx” to launch KDE. 4. Adding and Removing packages. SMS uses Slackware’s package management ( pkgtools ). To remove a package use ‘removepkg’, all installed packages have an entry in /var/log/packages/. 4.1 Installing SMS extra packages. and run ‘lilo’ for changes to apply. If you want to install a generic-bootsplash kernel you have to create an initrd image with your modules e.g. Tip: To install devel series with slapt-get you must add “--ignore-excludes” as kernel-* packages are excluded by default. If an application you want is not available as a package, you can build it from source. To be able to compile apps you must have a full install of SMS or at least devel series. There are sites that provide slackware packages such as slacky.eu, and linuxpackages.net. If you don’t find your package on any site look for a slackbuild. Slackbuild is a script that will build your package from source to a slackware package. You can search for slackbuilds at slackbuilds.org or google for it. Assuming there isn’t a slackbuild for your package, download the source of your application and read it’s documentation about building your package from source. Usually the source tarball contains a README and an INSTALL file with all the info you want for building it from source or even creating your slackbuild. Once you untar your source, by running “./configure --help” you will get a full list of build options. Once the configure finish without errors, type “make” to start building your package. If all goes well and there are no errors your app is ready for installation. It’s wise to create packages so you don’t mess up you system. Navigate to /tmp/pkg (cd /tmp/pkg) and use “makepkg” to create a slackware package with the command. Tip: You can alternative try slapt-src (http://software.jaos.org/#slapt-src) a utility to make querying, retrieving, and building slackbuilds for slackware. 5. Using Superb Mini Server. SMS.LiveCD ‘s purpose is for testing and demonstrating SMS’s features, although it includes a text installer, it’s NOT recommended for installing SMS. Upon booting you will get a prompt to select the mode you want to boot. Don’t boot from SMS at all, but boot from hard disk (device 0x80). 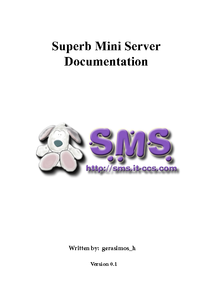 Run SMS normally with all servers enabled. Run SMS with all servers disabled. Run SMS normally, but run a PXE server at the same time. This will allow you to boot SMS on other computers over network. Run SMS as a Computational Cluster Master node, it will create user cluster and export it’s home directory via nfs. It will start a PXE boot server for booting slave nodes. TAB over a selection you will see the command line with all the options. 5.1.1 SMS.LiveCD boot parameters (cheatcodes). What are the boot parameters? Boot parameters (also known as cheatcodes) are used to affect the booting process of SMS. Some of them are common for all Linuxes, others are specific for SMS only. How to use boot parameters? 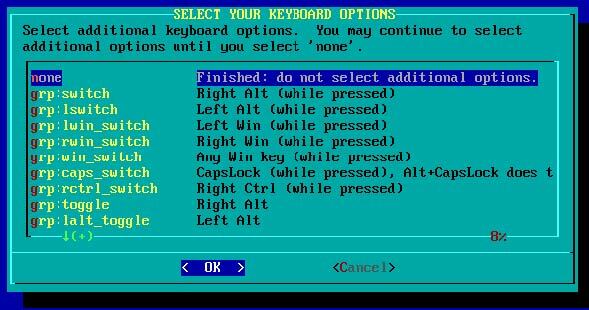 Choose your desired menu entry and hit Tab key, which will allow you to edit the command line. Write your desired boot argument at the end of command line. For instance boot mode “SMS PXE Server” has the following command line (/proc/cmdline). disabled, and by additionally adding ‘ssh’ will enable SSH server only. nocd => Don’t mount any cdroms at all during the boot process. nohd => Don’t mount any harddisks at all. nodma => Disable DMA for all CD-ROMs and disks. toram => Copy all files (all required and optional modules) to RAM. copy2ram => Copy all files (all required and optional modules) to RAM. light => Disable all services. pxeboot => Enable PXE Boot Server. clmaster => Enable Cluster master node. smb => Enable samba file server. nosmb => Disable samba file server. 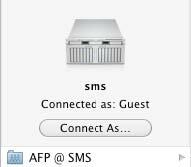 afp => Enable AFP server. ssh => Enable sshd server. nossh => Disable sshd server. 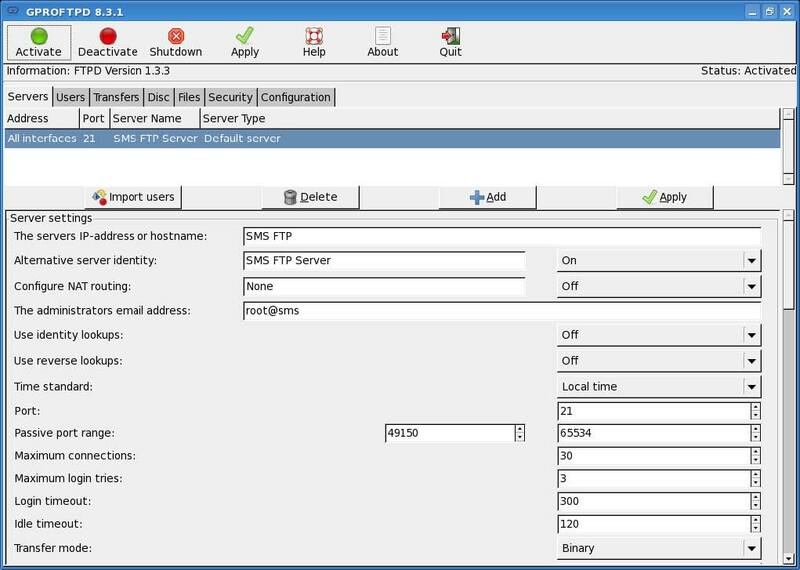 ftp => Enable FTP server. noftp => Disable FTP server. httpd => Enable httpd web server. nohttpd => Disable httpd web server. ldap => Enable OpenLDAP server. noldap => Disable OpenLDAP server. mysql => Enable MySQL server. nomysql => Disable MySQL server. cups => Enable Print server. nocups => Disable Print server. mail => Enable SMS Mail server. nomail => Disable SMS Mail server. fax => Enable Fax server (hylafax). debug => Enable debug mode (and start bash several times during the boot) hit Ctrl+D to continue booting. changes=/path/ => Tell SMS to use a device, a file or a directory for storing changes. DNS servers are listed in /etc/resolv.conf. To manually add name servers edit /etc/resolv.conf and enter e.g. “ls ---help” , or if a command is built in like ‘cd’ use “help cd”. Files beginning with a period (called dot files) are hidden when you run ls. You will only see them if you pass the -a option. There are many more options that can be found in the manual page. Don’t forget that you can combine options that you pass to ls. Use the arrows up/down and page up/page down to scroll the output, press Q to quit. The /bin/bash program is copied to your home directory and named mybash. cat has many uses and the ones discussed here are just a few. Since cat makes extensive use of standard input and standard output, it is ideal for use in shell scripts or part of other complex commands. The echo(1) command displays the specified text on the screen. You specify the string to display after the echo command. By default echo will display the string and print a newline character after it. You can pass the -n option to suppress the printing of the newline. The -e option will cause echo to search for escape characters in the string and execute them. touch(1) is used to change the timestamp on a file. You can change access timestamps and modification timestamps with this command. If the file specified does not exist, touch will create a zero length file with the name specified. mkdir(1) will create a new directory. You simply specify the directory to create when you run mkdir. This example creates the ‘newfolder’ directory in the current directory. will fail if /root/new doesn’t exist but with the -p option it will create /root/new first and then /root/new/new2. Exactly the opposite way rmdir works. To remove a dir use rmdir and to remove the dir and parent directories you pass the -p option. Tip: be vary careful when using “rmdir -p” as you may harm your system. mv(1) moves files and directories from one place to another, but can be used to rename files or directories as well. commands. rm can be very dangerous if you do not watch yourself. ln(1) is used to create links between files. These links can be either hard links or soft (symbolic) links by passing the -s option. grep is used to for searching files or output for a pattern and return it. grep has a lot of powerful options, use “grep --help” or “man grep” to find them. The find(1) command allows the user to search the filesystem with a rich collection of search predicates. Users may specify a search with filename wildcards, ranges of modification or creation times, or other advanced properties. which is usually used to locate a program quickly. It just searches your PATH and returns the first instance it finds and the directory path to it. whereis(1) command works similar to which, but can also search for man pages and source files. More info on how ps works and what are those numbers in man pages. In the output above we hold that a smbd runs with pids 4305, 4307. Note that you’ll have to be the owner of the process in order to kill it. This is a security feature. If you were allowed to kill off processes started by other users, it would be possible to do all sorts of malicious things. Of course, root can kill off any process on the system. Ctrl+X or F2	Exit nano and ask you to save if changes not saved. Ctrl+U or F10	Uncut lines into current line. 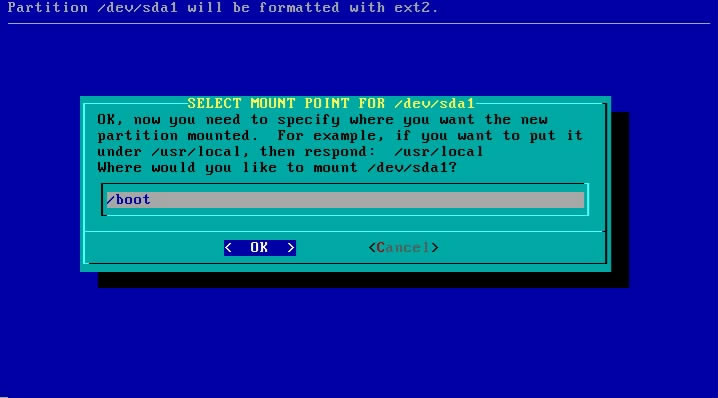 By issuing the command “mount” you will get all mount devices, this is the output of SMS.LiveCD. 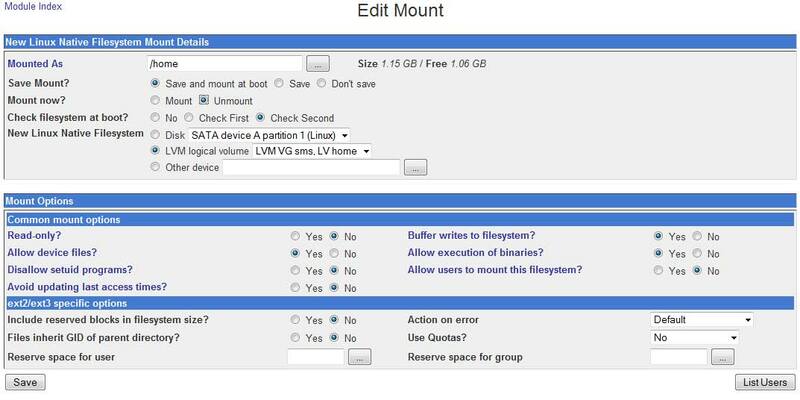 So if you want to mount an NTFS partition with read-write permissions you can also use mount.ntfs-3g. 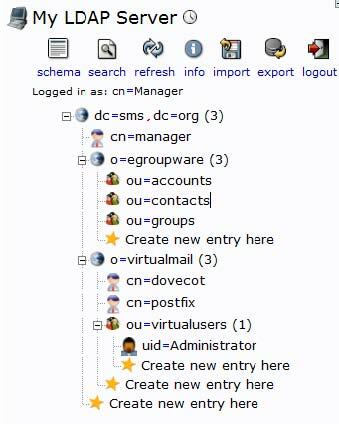 The easiest way to manage users and groups is with the supplied scripts and programs. 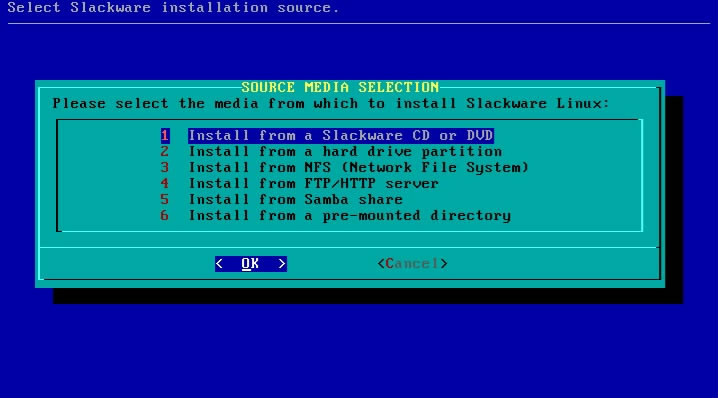 Slackware includes the programs adduser, userdel(8), chfn(1), chsh(1), and passwd(1) for dealing with users. The commands groupadd(8), groupdel(8), and groupmod(8) are for dealing with groups. With the exception of chfn, chsh, and passwd, these programs are generally only run as root, and are therefore located in /usr/sbin. chfn, chsh, and passwd can be run by anyone, and are located in /usr/bin. Users can be added with the adduser program. We’ll start out by going through the whole procedure, showing all the questions that are asked and a brief description of what everything means. The default answer is in the brackets, and can be chosen for almost all the questions, unless you really want to change something. The user ID (UID) is how ownerships are really determined in Linux. 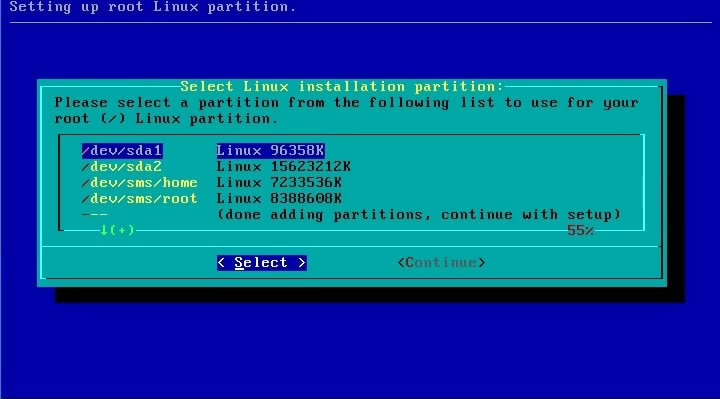 Each user has a unique number, starting at 1000 in Slackware. You can pick a UID for the new user, or you can just let adduser assign the user the next free one. All users are placed into the users group by default. You might want to place the new user into a different group, but it is not recommended unless you know what you’re doing. This question allows you to place the new user into additional groups. It is possible for a user to be in several groups at the same time. Home directories default to being placed under /home. If you run a very large system, it’s possible that you have moved the home directories to a different location (or to many locations). This step allows you to specify where the user’s home directory will be. bash is the default shell for Slackware Linux, and will be fine for most people, but if this is a virtual user you should change shell to /bin/false. Accounts can be set up to expire on a specified date. By default, there is no expiration date. If you entered something incorrectly, you should hit Control+C and start over. Otherwise, you can hit enter and the account will be made. Next you will have to choose a password for the user you just created. Tip: Having a secure password is the first line of defence against getting cracked. You do not want to have an easily guessed password, because that makes it easier for someone to break into your system. Ideally, a secure password would be a random string of characters, including upper and lowercase letters, numbers, and random characters. To add or change password for users use “passwd” command. Some people prefer the letters over the numbers. Either way will result in the same set of permissions. The octal format is often faster, and the one you see most often used in shell scripts. Sometimes the letters are more powerful however. For example, there’s no easy way to change one group of permissions while preserving the other groups on files and directories when using the octal format. This is trivial with the letters. Those are some basic commands, to get you started, some of the were took from slackbook.org, you might want to get into something more detailed and complete, like “Linux Complete Command Reference”. 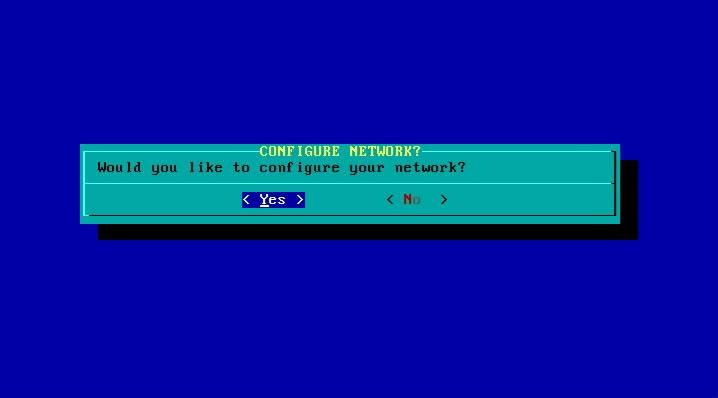 SMB (for Server Message Block) is a descendant of the older NetBIOS protocol that was initially used by IBM in their LAN Manager product. Microsoft has always been fairly interested in NetBIOS and it’s successors (NetBEUI, SMB and CIFS). The Samba project has existed since 1991, when it was originally written to link an IBM PC running NetBIOS with a Unix server. These days, SMB is the preferred method for sharing file and print services over a network for virtually the entire civilized world because Windows supports it. To test your configuration just run “testparm” and check the output. For a full list of options for smb.conf use “man smb.conf”, also check /etc/samba/smb.conf-sample. to SMB shares from a windows machine you will get a promt to enter username and password. The easiest way of configuring proftpd is by using gproftpd already available in x-kde-addon package. If you made a full installation of SMS, all you have to do is start KDE with “startx”. In Users tab you can add/delete edit users. To edit or delete a user, just select the user and edit his fields and press apply or press delete to delete the user. 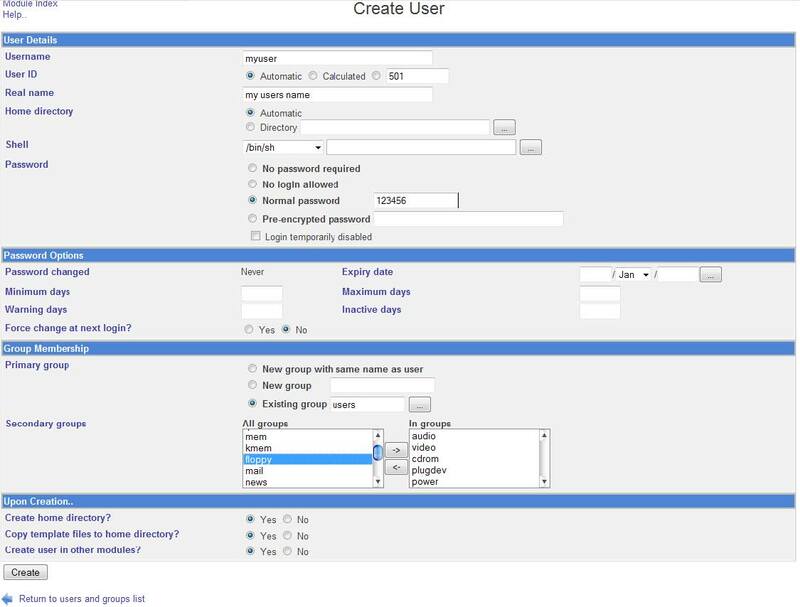 To add a user fill up his fields like username password directory and set the attributes, by clicking the boxes and press Add. By clicking activate you enable the FTP server, Deactivate or Shutdown disable FTP server, Apply, apply changes to FTP server, Help has a few notes about adding users and directories, that you should read. Tip: Proftpd can start as a standalone server or as an inetd, by editing /etc/inetd.conf. # Very Secure File Transfer Protocol (FTP) server. stop proftpd (/etc/rc.d/rc.proftpd stop) and restart inetd server (Internet super-server daemon). ftpd_banner=Welcome to SMS FTP service. Create a file called /etc/vsftpd.chroot_list and /etc/vsftpd.user_list and add your users. 5.6 Sharing a Printer through Samba (CUPS + SMB). and add shares for printer and drivers. Now you can switch your security back to share. Printer Driver HP845c successfully installed. Successfully set HP845c to driver HP845c. 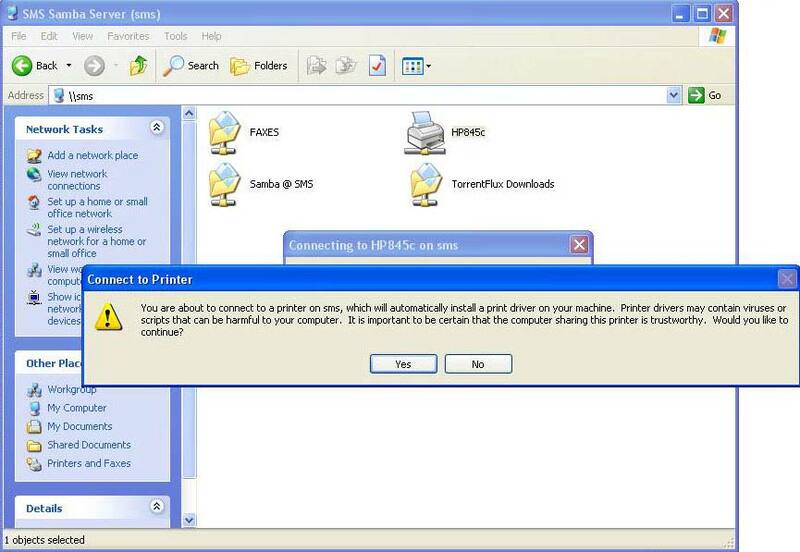 Now by double click the printer, the driver will automatically installed. If the driver can’t be found, such as if your machine is running Windows 7, windows will ask you for the driver, so you can point where the driver is or you can put it in an SMB share and navigate to there and install the printer. 5.7 Network File System (NFS). rw Allow both read and write requests on this NFS volume. can improve reliability in some circumstances. exported tree (which is harder). This check is called the subtree_check. all_squash Map all uids and gids to the anonymous user. To start NFS you need to make executable /etc/rc.d/rc.nfsd and /etc/rc.d/rc.rpc and start them. Tip: You can use webmin to config NFS at Webmin ->Networking -> NFS Exports. 5.8 DNS setup with BIND (Webmin). We are going to cover the basics with few words. 1. Decide on a name for the new zone, such as example.com or internal. If this is going to be Internet domain that will be visible to other everyone in the world, the domain name must not have been registered by anyone else yet. However, you cannot normally register it yourself until your DNS server has been set up to host it. 2. 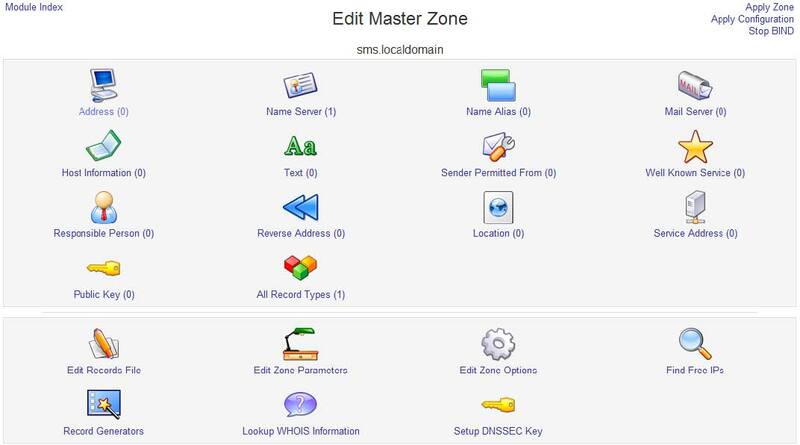 On the module’s main page, click on the Create a new master zone link below the table of existing zones. This will take you to the page shown in the image below for entering the details of the new zone. 3. If this is to be a forward zone like example.com or foo.com.au, leave the Zone type field set to Forward. However, if it is a reverse zone for looking up hostnames from IP addresses, set the field to Reverse. 4. In the Domain name / Network field, enter the name of the zone without any trailing dot. For a reverse zone, just enter the network address like 192.168.1. Webmin will automatically convert this to the in-addr.arpa format for you when the domain is created. 5. The Records file field controls where the configuration file containing the zone’s records is stored. If you leave it set to Automatic, the filename will be determined automatically based on the module’s configuration and the directory setting in the named.conf file. This is usually the best option, as it will result in the records file being created in the same directory as any existing zones, such as /var/named. However, if you de-select the Automatic option and enter a filename instead, all records for the zone will be written to that file. If you enter the name of an existing file, it will be overwritten when the domain is created. 7. fields) are used to create the new zone’s SOA record. 8. In the Email address field, enter the address of the person responsible for this zone. You can use the @ symbol in the address, which Webmin will automatically convert to a dot for inclusion in the SOA record. 9. The Refresh time field determines how often secondary servers should check with this master server for updates to the zone. The default is reasonable, but you may want to increase it for zones that rarely change, or decrease it for those that are frequently updated. 10. The Transfer retry time field determines how long a secondary server should wait after a failed zone transfer before trying again. 11. The Expiry time field controls the maximum amount of time that a secondary DNS server for the zone should cache records for before re-transferring them from the master. 12. The Default time-to-live field determines the TTL of records in the zone that do not have one set explicitly. 13. Click the Create button at the bottom of the page. As long as the form has been filled in correctly and the zone does not already exist on your server, you will be taken to a page for adding new records to the zone. 14. Return to the module’s main page which will now include an icon for your new zone, and click the Apply Changes button at the bottom to activate it. •	Name Sever (NS): Records of this type defines a name server that is responsible for a zone. Every zone must have at least one Name Server record for itself, and may have additional records that specify the DNS servers responsible for subdomains. •	Name Alias (CNAME): This type of record creates an additional name for an existing Address or Reverse Address record. •	Mail Server (MX): Mail Server records tell mail delivery programs like Sendmail and Postfix, which system to contact when delivering mail to a domain or host. •	Host Information (HINFO): Records of this type are used to record information about the hardware and operating system of a particular host. •	Text (TXT): A Text record associates an arbitrary message of some kind with a name. •	Well Known Service (WKS): A record of this type associates a hostname, port and protocol with a name. •	Responsible Person (PR): This type of record is used for specifying the person or group responsible for a particular host. •	Location (LOC): Location records are used to specify the physical location in latitude and longitude of a host. •	Service Address (SRV): Records of this type are used to associate a domain name, service name and protocol with a particular host. MX record must have an A record. Every time you press “Apply Configuration” always look at /var/log/syslog for BIND errors. If there is an error in your zone, it will not load. sms.localdomain. 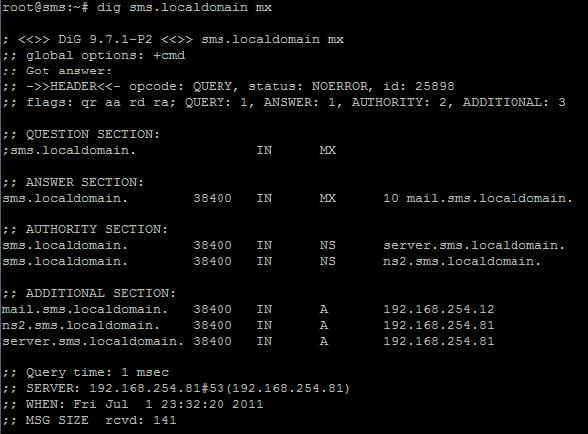 IN	MX	10 mail.sms.localdomain. And this is, how your config (/etc/dhcpd.conf) looks. 5.9 DNS setup with DNSMasq. Although BIND is a powerfull DNS server, sometimes, requires high skills, making it quite a pain to a beginner. This is where dnsmasq comes, to save the day. Dnsmasq is a lightweight, easy to configure DNS forwarder, DHCP and TFTP server. It is designed to provide DNS and, optionally, DHCP and TFTP to a small network. Dnsmasq has an outdated webmin module at http://home.pacific.net.au/~magnecor/modules.html if someone wants to try it, hopefully SMS might include it, in feature builds. Configuration of dnsmasq lies in /etc/dnsmasq.conf. Configuration file is well commented so take a look at it. First thing is to configure the interface that our DNS will listen to, for instance, if your server is also an internet router, you might don’t want to have a DNS server on your external interface. If you don’t configure any interface, dnsmasq will listen to all available interfaces. If you want multiple interfaces just repeat the line. To configure the DHCP range of leases to clients enter the values for interface (optional), IP range, netmask and lease time separated by comma. If you want dnsmasq to provide only DNS service on an interface, then use the following line to disable DHCP on it. To test configuration you can run “dnsmasq --test”. documentation, for mastering it’s power. Netatalk is a freely-available Open Source AFP fileserver. It also provides a kernel level implementation of the AppleTalk Protocol Suite. A *NIX/*BSD system running Netatalk is capable of serving many Macintosh clients simultaneously as an AppleShare file server (AFP), AppleTalk router, *NIX/*BSD print server, and for accessing AppleTalk printers via Printer Access Protocol (PAP). 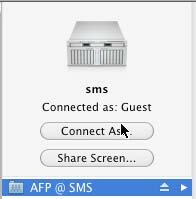 By default AFP in SMS is disabled, which means the start up script (/etc/rc.d/rc.atalk) is not executable. To make it executable use “chmod”. By passing the option “tm” enables TimeMachine support for shared volume. To change afp daemon options, edit /etc/netatalk/afpd.conf accordingly e.g. SMS by default load guest and user libraries so can use it as is, or remove guest libraries. To start/stop netatalk use the start up script provided. To configure AFP you can use Webmin, although it’s module it’s a bit confusing. Webmin -> Servers -> Netatalk Apple File/Print Services. 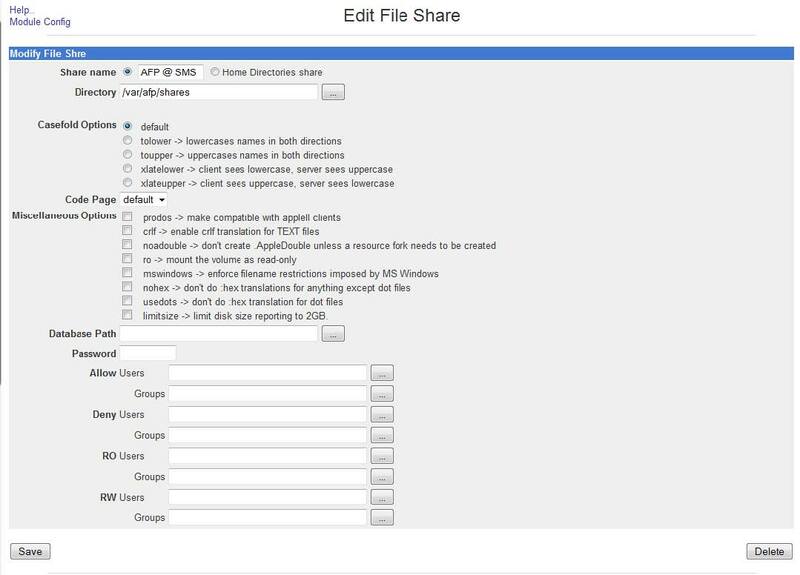 To create a share click on “Create New File Share” or edit existing. You will notice that tm (TimeMachine) is missing, you can add it manually, by editing /etc/netatalk/AppleVolumes.default. To configure afpd through webmin just click on button “Servers”, and either create or edit one. Avahi is a free zeroconf implementation, including a system for multicast DNS/DNS-SD service discovery on a local network via the mDNS/DNS-SD protocol suite. This enables you to plug your laptop or computer into a network and instantly be able to view other people who you can chat with, find printers to print to or find files being shared. Compatible technology is found in Apple MacOS X (branded Bonjour and sometimes Zeroconf). /extra/packages/avahi. To install download packages, or mount iso and use “installpkg” to install them. You can place an entry of the above in /etc/rc.d/rc.local to automatically start at boot. and you can specify even the model e.g. iMac3,1 is not the same as iMac7,1 and so on. By default http and smb service are enable, but since you are using AFP it’s proper to disable smb. you will get the “Share Screen” button option on your Macs. 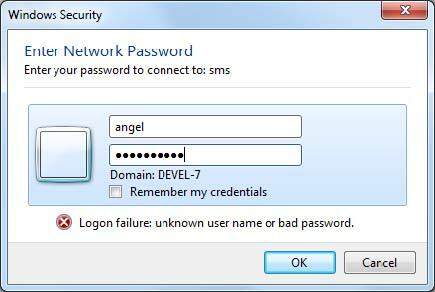 username, real name and password. UID, home directory, and shell, you can leave them as default, unless you want your user to don’t have a shell (no login), or you want a home directory other than /home , or not having a directory at all. In the password field, choose Normal Password, and webmin will encrypt it for you. When you finish press “Create” to create your user. To delete a user, select one or more users and press “Delete Selected Users”. To edit a user just click on a user and edit it’s fields, like password UID e.t.c. You can also change passwords for users at Webmin -> System -> Change Passwords, by clicking on a user and setting a new password. SMS comes with hylafax configured in ttyS0 (serial port 1), but you can change or add more modems. To configure hylafax the proper way is to run “faxsetup”. You will get a lot of output and series of questions that you can pass, by pressing enter to the default options. details like, country code, telephone number e.t.c. No existing configuration, let’s do this from scratch. By now your hylafax server it’s ready to receive and send faxes. To add users use the “faxadduser” command. To install avantfax manual with “installpkg”, or use “slapt-get -i avantfax”. The install script will do the rest for you. You will be asked for mysql’s root password, if you did not add a password just press enter or if you have a password enter it at the prompt. After installation completes go to http:/[yourserver]/avantfax/ and login.